Outdoor Gym QR CODE - How to use Combined Workout Station? Outdoor Gym QR CODE – How to use Combined Workout Station? Home » Outdoor Gym QR CODE – How to use Combined Workout Station? 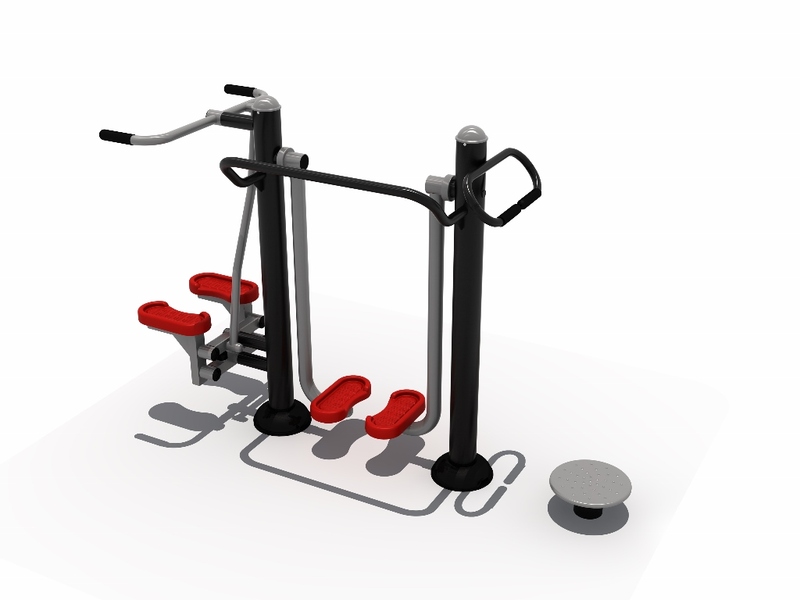 Outdoor Gym QR CODE – How to use Combined Workout Station ? Stepper: Facing the unit, place both feet on footboards, and hold handles at both sides. Shift the weight of the body to step from side to side, keeping feet on footboards. Repeat as desired. Waist Twister: Facing the unit, step onto circular platform with both feet, holding the rail with both hands. Twisting waist and hips, move body toward the left, back to the middle, and toward the right. Repeat as desired. Airwalker: Stepping on the footboards with both feet, hold the horizontal handrail in front. Alternate moving one leg forward and the other backwards, then reverse, similar to skiing. Continue rhythmically, increasing and decreasing speed as desired. Provide a range of effective leg and mid-core exercises. Strengthen the flexibility of legs and waist. Improve coordination. This unit is designed for 3 users at a time. It is unsafe to stand near the equipment when it is in use by another user.